Dyllan is an extrememly happy baby. His birthday is June 4th 2008. He loves chasing our dog Pepper, chewing on EVERYTHING, and playing with his big sister Alexis. For his birthday party, we are having a Sesame Street theme. We are all VERY excited. He started walking about 3 weeks ago,and now he's even trying to run after his sister! Dyllans birthday party was on Saturday!! He had a blast!!! VERY tired out when we got home LOL. I'll post some pictures later today.!! We cut his hair last night! 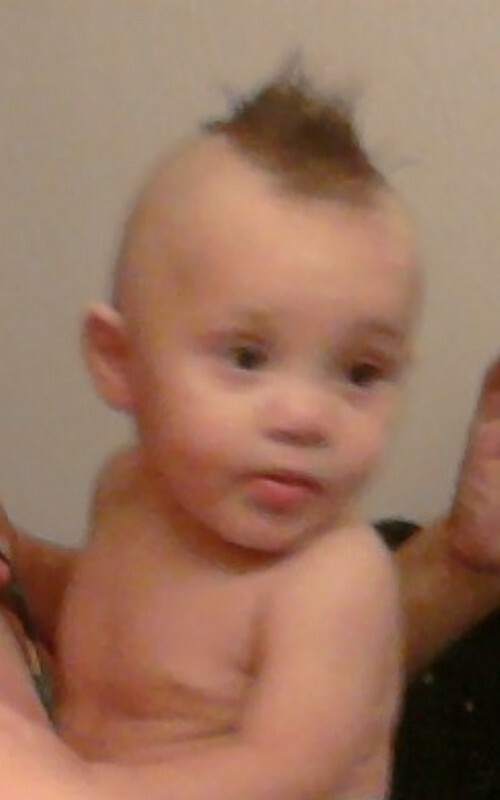 turned it into a little mohawk..It look ADORABLE!!! Compare deals on free cell phones, shop for international calling cards to india and get t1 line price quotes.